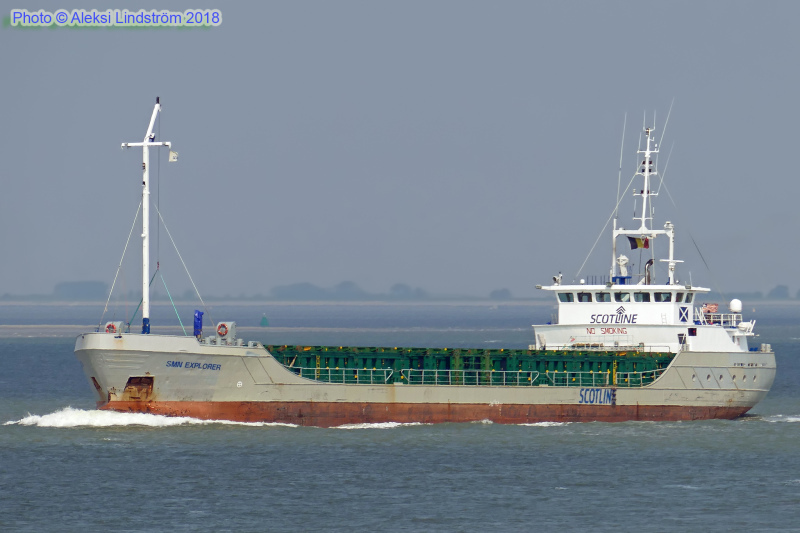 Passing Terneuzen following departure from Antwerp on May 24, 2018. IMO 9137193. Ex-BORNRIF 1996, SCOT EXPLORER 2004-2017. Details HERE.